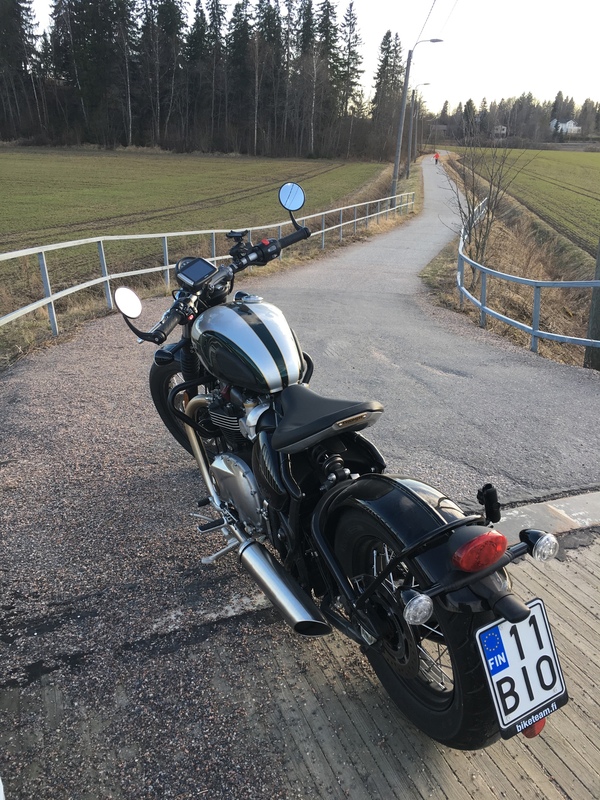 Share any pictures of your 2017+ Triumph Bobber! Mine, A few days after I got it. I moved the seat an additional 2" back. Administrator and Mjpbobber65 like this. Administrator, eisen77, Art and 2 others like this. Maybe the best time of the year? Administrator, eisen77, SineApps and 3 others like this. Any riding time is the best time of the year, except for fall. Not a fan of leaves everywhere on roads, you can easily lose traction on that stuff. How did you move the seat back? Hi Kaj, can you share your solution of gps mount? That is the standard ram mounts that came along with TomTom Rider. On the seat bracket, you will see a spot on the casting where it appears like there was going to be a hole. I drilled mine out and moved the seat. Administrator, Zanetti, Rocky and 4 others like this.